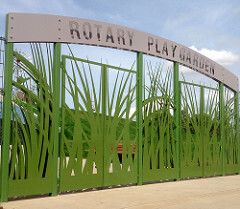 The Mission of the PlayGarden Activities Committee is to engage the Rotary Club of San Jose and the community in activities and programs at the Rotary PlayGarden in support of the vision of equal play. The committee champions Rotary attendance and involvement in using and promoting the new PlayGarden. We meet six times a year on the second Wednesday of the month at 11:30AM at the Rotary Summit Center. For more information, please contact Committee Chair DeAnna Pursai.